Dr. Tara Allmen is one of America’s leading experts in menopausal medicine. She is a Nationally Certified Menopause Practitioner and highly respected in the medical community. Dr Allmen is also the founder and director of The Allmen Foundation, a non-profit organization that primarily supports organizations working in the areas of women’s health, childhood education and animal welfare. This is a very informative, amusing and accurate book on perimenopause and menopause. Dr Allmen makes complicated issues very simple to understand and gives personal details which makes to book fun to read. There is a wealth of information covered succinctly and is helpful to patients who are often given inaccurate information by both the media and the medical profession. The book will be helpful as well to medical professionals who which to learn more about this complicated time. Dr. Allmen’s recent book, Menopause Confidential, is a must-read. Entertaining and interesting. Highly recommended. 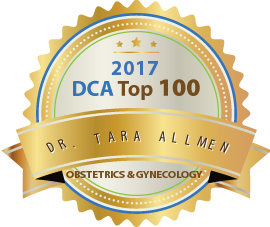 Dr. Tara Allmen is an outstanding physician with a deep knowledge of, and commitment to, women’s health and menopause medicine. She is a very active member of the North American Menopause Society (NAMS) and serves as the Director of the NAMS Foundation. She is a strong advocate for her patients. Her recent book, Menopause Confidential, empowers women by helping them understand menopause and work together with their clinicians in decision making about their care. I strongly support Dr. Allmen for a Doctors’ Choice Award. Dr. Tara Allmen is the kind of doctor that every doctor strives to be: brilliant, compassionate, an expert in her field, and deeply concerned about each patient that she sees. What really makes her stand out, though, is her disarming sense of humor. A patient can’t possibly be uncomfortable or anxious while she is laughing! Keep up your amazing work, Dr. Allmen. And keep teaching the rest of us how to be our best, too! Dr. Allmen is an extraordinary resource for women in the perimenopause and menopause as well as for the clinicians who care for them. She ably communicates her vast knowledge clearly and takes an individualized, yet evidence-based, approach to care. Dr. Allmen is eminently deserving of the Doctors’ Choice award. Dr. Allmen is a caring, compassionate, knowledgeable and witty colleague who is at the forefront of knowledge within the menopause community. Her book, Menopause Confidential, is the be-all and end-all guide to living and thriving through peri-menopause and menopause. I have worked with Tara for many years in women’s health. Tara is a strong advocate of perimenopausal and menopausal care which requires thoughtful care, education and expertise. Her book details the aspects of a stage in a women’s life that is both funny and informative! Dr Allmen is a leader in her field. She is a kind caring empathetic health care professional who is attentive and listens to her patients. She is a leader amongst her peers. She has a strong sense of duty and is committed to professionalism. I have known Tara for many years. If I arrive at the national menopause meetings early, I look for Tara at the gym-she practices what she preaches! I know that every patient I refer to her, for women looking for outstanding menopausal health care, in New York City, will receive the best care. She is as enthusiastic as she is knowledgeable, and wants all women educated about their health. She is a leader in all aspects of care for women. She is an outstanding leader in menopausal medicine, and she is considered one of North America’s foremost authorities on hormone therapy for women. She has been a vital part of the movement to enhance the mature woman’s quality of life,, and she does this through her tireless efforts in her clinical practice and participation in educational programs. Patients and healthcare providers are fortunate to have such knowledgeable, dedicated leaders in our field. Thanks for the opportunity to support her in being recognized for her many contributions. Dr Allmen’s combined clinical expertise, knowledge, and personality make her one of the best women’s health physicians in the country. Her leadership in our medical societies is renowned. Not mention her terrific sense of humor (she will), and deservedly so. The total package in a doctor. I have known Dr. Allmen for more than 20 years. She and I share a passionate interest in understanding menopause and helping women deal with menopause issues. In this regard, she has become a recognized national leader supporting women and their needs and the organizations devoted to women’s health care in mid-life and aging. 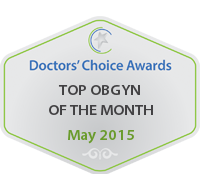 She is an outstanding candidate for the Doctors’ Choice Award in Obstetrics and Gynecology for this year. I am pleased to support Dr. Tara Allmen for a Doctor’s Choice Award. I know Dr. Allmen due to her active participation in activities of the North American Menopause Society (NAMS). Tara also serves as the Director of the NAMS Foundation. Due to her generosity and enthusiasm, NAMS is a stronger organization, meaning its ability to educate clinicians to better serve menopausal/mid-life women is enhanced. Many women benefit from Dr. Allmen’s advocacy for the health of menopausal women. I am privileged to support her. I have known Tara Allmen, MD for more than a decade. During that time I have found her to be extremely knowledgeable and professional, as well, as committed to her field. I am very pleased to endorse her as a candidate. I have known Dr. Allmen for more than 10 years. While our initial acquaintance was primarily from our mutual attendance at regional, national and international conferences and advisory boards covering many aspects of women’s health, more recently I have come to know her extremely well through our work together on behalf of the North American Menopause Society (NAMS), and other organizations seeking to improve women’s health, and especially postmenopausal women’s health through better understanding of the diseases affecting them and the treatments available. Dr. Allmen’s clinical care of women with menopausal concerns is highly respected, always informed by the latest peer-reviewed scientific research, and of the highest personal and ethical standards. She is a phenomenal lecturer and teacher to students of all types (physicians, nurses, technologists, etc.). However, Tara’s teaching abilities are particularly acute and resonate best when teaching patients and lecturing to the lay public. In this sense, she truly excels. I believe it is Dr. Allmen’s extraordinary wit and self-deprecating sense of humor, unique in teaching circles, and a remarkable gift, that really distinguishes Dr. Tara Allmen from the rest of us. She will be an excellent representative of The Doctors Choice Awards, even a standard bearer. 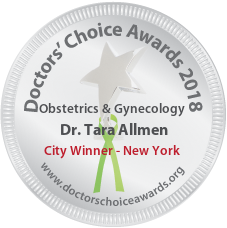 I support Dr. Tara Allmen’s nomination for Doctor’s Choice Awards. Her dedication to the health and well being of women is exceptional. Her expertise in the field of menopause and the effects on women has helped thousands of women beyond those fortunate enough to have her as their physician. 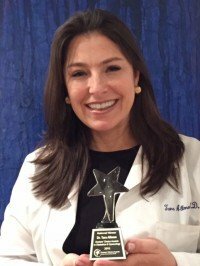 She is a compassionate clinician who uses a combination of education and humor to help her patients cope with a variety of sensitive topics. She is also a great speaker and writer who uses these skills to help women (and men) understand that menopause is a normal and healthy phase of life, and to help women gain control over the variety of symptoms that can occur. Dr. Tara Allmen has been a dedicated member of The North American Menopause Society (NAMS) and has served as President of the NAMS Foundation. She has demonstrated her expertise in menopause by becoming a NAMS Certified Menopause Practitioner. Her promotion of midlife women’s health is an inspiration to both women and clinicians. I have known Dr. Tara Allmen for over 20 years and I know her as one of the top doctors in America. 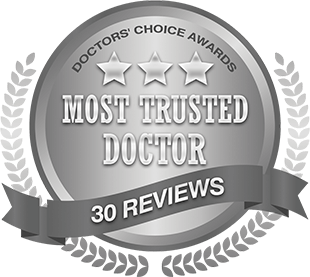 I am honored to highly recommend her for the Doctors’ Choice Award for 2015. Dr. Allmen is an energetic and compassionate physician who strives for excellence in the care of her patients as well as a colleague who works with other physicians and healthcare providers for the best possible outcomes. Dr. Allmen is a national leader in the areas of helping women successfully deal with issues surrounding perimenopause, menopause, and beyond. She is very active and has many leadership roles in The North American Menopause Society and other societies dealing with these issues. At national meetings, she constantly energizes creative new thinking for solutions to women’s health issues. She has written papers, articles, DVD programs, presented lectures, and been on television and radio, passionately promoting healthcare options for women dealing with perimenopause, menopause, and beyond. She is an outstanding choice for the 2015 Doctors’ Choice Award. I had the honor to be one of Tara’s residency classmates at the Universtiy of California, San Francisco (UCSF) Dr. Allmen has an exquisite blend of professionalism with compassion, with a background of profound knowledge. During residency, she was very popular with patients, colleagues and nurses. Once she graduated she has stayed on top of the latests publications, and has contributed to the specialty -in the area of Menopause- with teaching, videos, and appearances in the media. Patients welfare, preventive medicine for the menopausal woman, and lifestyle preservation, are her priorities. Tara is a talented menopause practitioner. She shares her enthusiasm and passion about women ‘s health with both her patients and peers. Dr. Tara Allmen is a menopause expert, clinician educator, and a North American Menopause Society Certified Menopause Practitioner. Through both her patient care and her projects funded by the Allmen Foundation she is making a significant difference in the lives of midlife women. Dr Tara Allmen is a passionate and dedicated physician with unparalleled expertise in the field of menopausal health. It is my pleasure and priviledge to recommend her for this award. Dr Tara Allmen is a very passionate, intelligent, and reliable physician who has helped me with numerous patients. I nominate her enthusiastically. 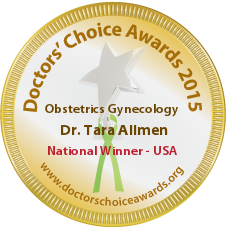 I am writing in support of Dr Tara Allmen’s nomination for the “Doctor’s Choice Award”. Dr Allmen is an outstanding menopause and women’s health clinician. She provides comprehensive, high quality, evidence based care to her patients. She is also a national spokesperson on topics in women’s health and menopause. She is an outstanding clinician, speaker and educator. I whole heartedly support her nomination. She is a fantastic doctor. She is my go to Guru for any questions about menopause. She has a wealth of knowledge for patient and doctors, always offering great patient centered solutions that take into account the whole patient. She considers the patient’s lifestyle as a whole in figuring out how to manage menopausal symptoms. She is an invaluable resource in our community and nationwide. I have known Dr. Tara Allmen for many years and consider her my “go-to” point person for patients experiencing difficult menopausal symptoms. She is a key opinion leader in this specialty and has been interviewed and written extensively on this topic. Besides being extremely knowledgeable, she is a compassionate and caring physician who draws rave reviews from patients referred to her. She is highly deserving of the Doctor’s Choice Award in Obstetrics & Gynecology this year. Dr. Tara Allmen is remarkable expert in the care of menopausal patients in New York City. She is very capable, always up to date, and highly personable. She has been committed to the field of menopause medicine for several decades and has a national reputation as a clinician and leader.